Following our 2014 World Series of Poker coverage can get you really excited to play some poker if you're not in Las Vegas participating in the events. Why not start building your bankroll to help you make the trip and join the action next year? 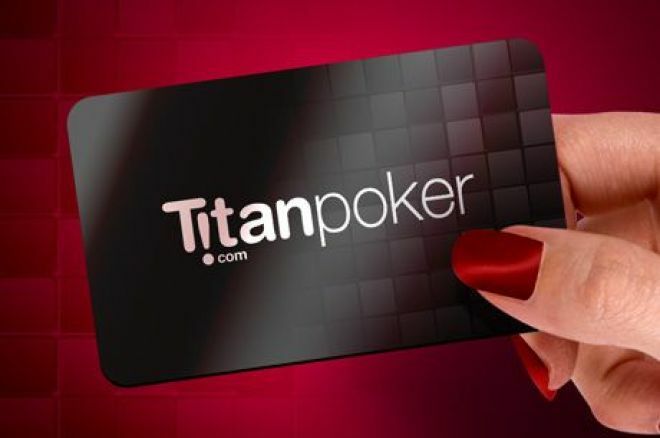 Titan Poker, one of the most well-known iPoker skins, can help fill your poker hunger for FREE! You heard right, you can check out one of the best poker rooms in the world for free. What's even better, its easy and PokerNews players do not even need to make a a deposit to enjoy their real money games with €10 in tournament tokens for free, thanks to their special relationship with us. Sounds Great; What Do I Have to Do? You don't have to sell your soul or do anything difficult to get your hands on this great deal. Simply download Titan Poker through our links and use "POKERNEWS" as the bonus code and you will be able to be the next poker player to have a chance to build something for nothing with a free €10 in tournament tokens! If you think it isn't possible to build a huge bankroll from nothing, think again. Many famous poker players got their start by never making a deposit. Norway's Annette "Annette_15" Obrestad got her start without making a deposit and never looked back. Obrestad learned to dominate the virtual felts before becoming the youngest winner of a World Series of Poker bracelet when she won the 2007 World Series of Poker Europe Main Event. How Do I Get Even More? Titan Poker not only will give you €10 in tournament tokens for free, but also will give you one of the best deposit bonuses available anywhere online. You can help yourself to a huge 200% bonus up to $2,000 just by signing up to Titan Poker through PokerNews Canada and making your first deposit into your account. How is that for value? This is just the beginning of all the great benefits, as depositing opens many new avenues at more free money. Just by making a deposit, you will receive four tokens to the $2,500 New Depositors Freerolls. These tournaments are going to be much easier than most other tournaments to win, since they are only available to first-time depositors, many of which have never played poker online before. Our amazing free €10 offer will not be around forever. Check out Titan Poker for free today to help yourself to free tournament tokens, huge bonuses, and amazing huge-value freerolls today. Please read the terms and conditions of the Titan Poker Free €10 promotion. If you experience any problems with this or any of our promotions, please contact our Ticketed Promo Support System. Get all the latest PokerNews Canada updates on your social media outlets. Follow us on Twitter and like us on Facebook! Enjoy T$10 for Free on partypoker! PokerNews Canada aims to entertain and inform with fun and honest Canadian content. We give big value to Canadian poker players with exclusive promos, deals, sign-up bonuses, and freerolls. Thanks to our worldwide network of sites and our long-standing relationships within the poker industry, we're able to offer the world's best no-nonsense online poker deals.